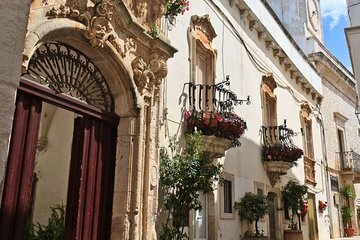 See Puglia’s Locorotondo on a walking tour, and discover the highlights of one of Italy’s most pretty villages. Loved for its whitewashed and cone-roofed trulli houses, hilltop Locorotondo is a maze of lanes, and the best way to see it is with a private guide. You’ll enjoy a tour that’s personalized to you, and have the flexibility to see the sights that interest you most.